Standard Fire and Special Perils Insurance Policy - Corporate Risks India Insurance Brokers Pvt. Ltd.
Fire Insurance policy (Standard Fire and Special Perils Insurance Policy) is a specialized form of insurance that covers financial loss to insured for damage to its property due to Fire & other special perils. The popular name for this policy is Standard Fire and Special Perils or SFSP policy. Fire Insurance policy covers perils like Fire, Lightning, Explosion, Implosion, Aircraft damage, Riot, Strike and Malicious Damage (RSMD), Storm, Tempest, Flood, Inundation (STFI), etc. Any financial loss occurring due to damage to property of insured because of any of these perils will be indemnified by the Fire Insurance Policy (Standard Fire and Special Perils Insurance Policy). Insured can take Fire Insurance policy to cover its property, stock, plant & machinery, furniture & fixture, and specific items like bullion, drawings, coins, work of arts, etc. Apart from aforementioned risks Fire Insurance can also give cover for Impact Damage, Deterioration of stock in cold storage because of power failure, Omission to insure, Spoilage material damage cover, Leakage and contamination cover, temporary removal of stocks. Scope of Fire Insurance Policy. Building: Completed Building, Under-construction Building, Plinth & Foundation, Interiors, Electricals, Partitions, etc. Plant & Machinery: New Machine, Old Machine, Obsolete Machine, Equipments, Accessories, etc. Contents: Furniture & Fixture, Fittings, Cables, Pipings, Spares, Household goods, etc. Explicit Items: Stamps, Explosives, Bullion, Arts work, Drawings, Precious Stones, Curious etc. Who should buy Fire Insurance Policy? Perils covered in Fire Insurance Policy. Perils Covered: Following Perils can also be covered by paying additional premium. Expenses Covered: Following Expenses can be covered by paying additional premium. Whenever the insured suffers financial loss due to Perils covered in Fire Insurance Policy (Standard Fire and Special Perils Insurance Policy), a claim under this policy should be intimated to the Insurance Company. In order to register the claim under Fire Insurance Policy (Standard Fire and Special Perils Insurance Policy) insured should follow the following steps. 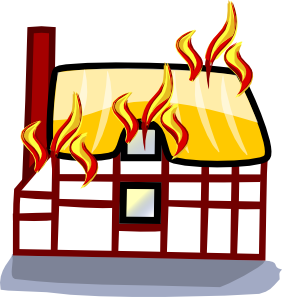 In case of Fire claim following documents will be required by Insurance Company to process the claim. In case of damage due to Flood, Storm, Cyclone, Earthquake, Subsidence, Landslide few more documents will be required. In case the damage is caused due to Riot, Strike, Malicious Damage, & Terrorism following additional documents will be required. In case of damage due to Explosion following additional documents will be required. Following are some of the standard exclusions under Fire Insurance Policy (Standard Fire and Special Perils Insurance Policy). Some of these exclusions can be removed by paying additional premium. Consequential Loss, Loss of profit, Loss of earning, etc.